AGB3300RS24Q1 is a sub package of AGB3300,If you need see the description,please click AGB3300 .If you need AGB3300RS24Q1's datasheet,please download it from below. By Anadigics, Inc. 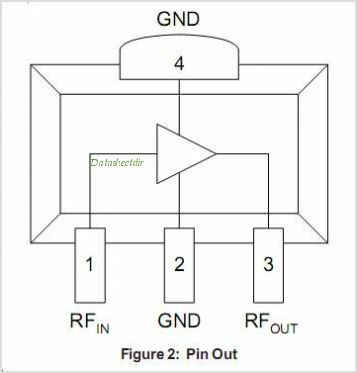 This is one package pinout of AGB3300RS24Q1,If you need more pinouts please download AGB3300RS24Q1's pdf datasheet. 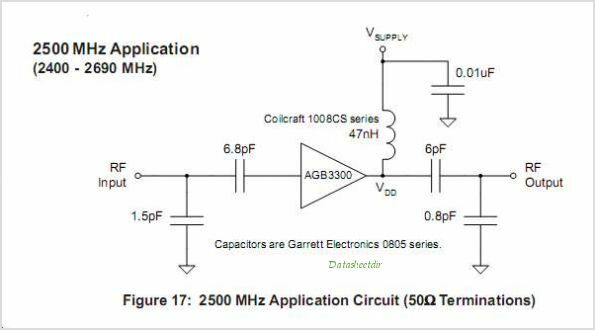 This is one application circuit of AGB3300RS24Q1,If you need more circuits,please download AGB3300RS24Q1's pdf datasheet.